New Delhi, India, June 15, 2018: School fees hike is an issue that riles parents every year, while some states have taken steps to cap the absolute fees the subject is much more nuanced and a simple capping will not work. Past instances of fee capping have shown that expensive or higher quality schools exit when absolute fees is capped. 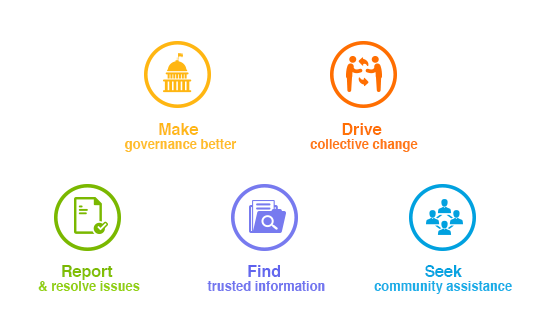 As each state is coming out with its own legislation or ordinance and as central government reportedly is also working on a model legislation, LocalCircles decided to crowdsource the solution to this problem through a series of polls. 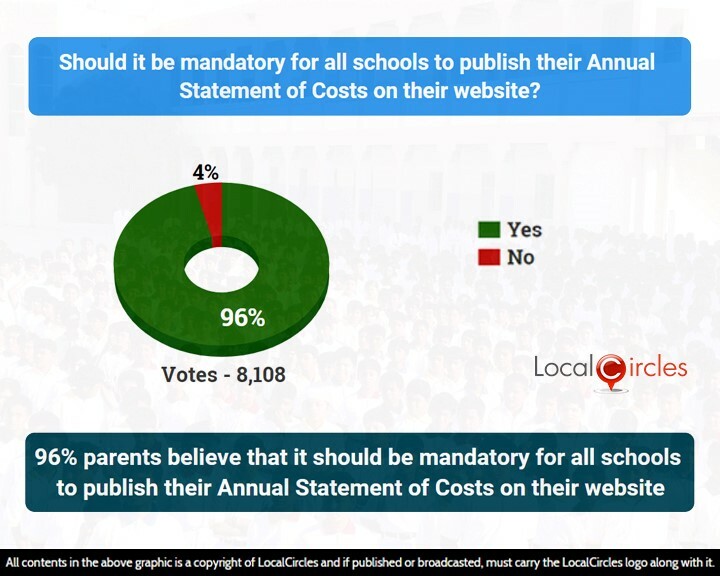 Thousands of parents on LocalCircles are concerned about education its cost and its impact hence the survey got an overwhelming response. 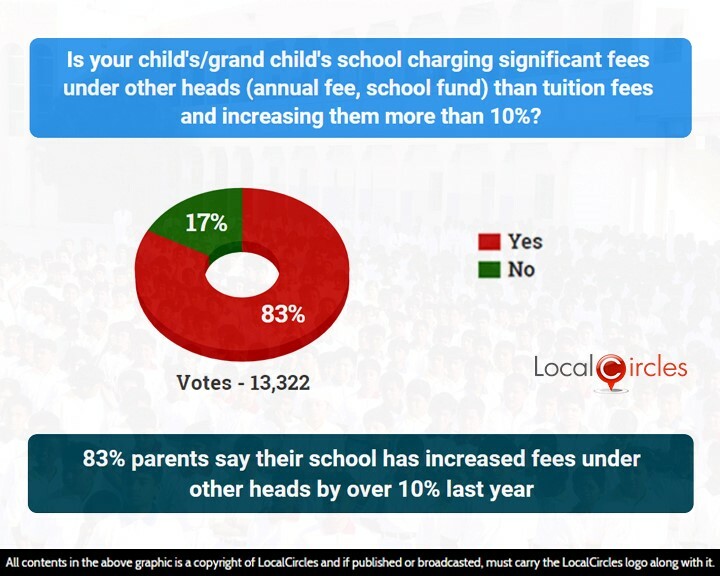 Around 83 % of the people polled said that they had witnessed a school fees hike. The first issue was the model to regulate the school fees. Should school fees be capped like it has been done in Gujarat and Tamil Nadu where schools cannot charge above a certain amount. 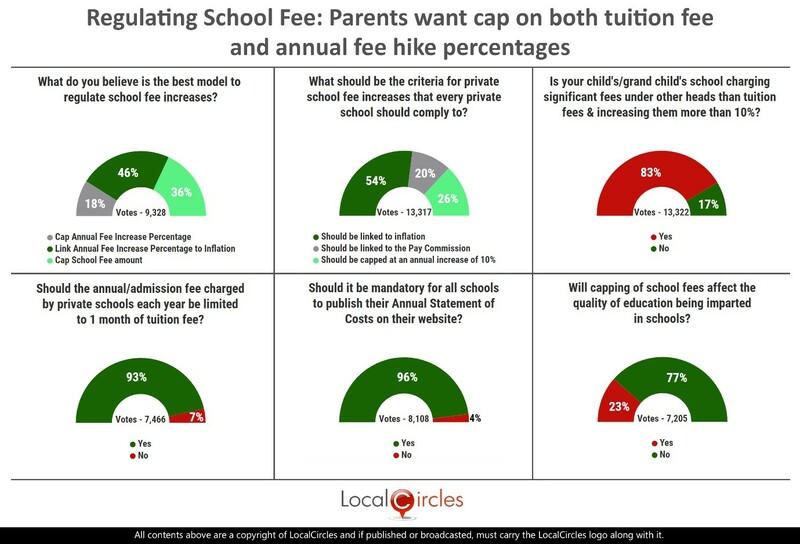 In response to this issue, 46% of the citizens said that the school fee hike should be linked to inflation, which is it cannot be arbitrary. Around 36% wanted a cap on the total fee amount. While 18% wanted to cap the annual fee hike percentage, which is that it should not be say more 10% or some percentage. But the majority wants the focus of the regulation to be on annual fee hikes and not on absolute fee. Second issue went a little deeper into the school fees hike and the criteria that should be followed for it. 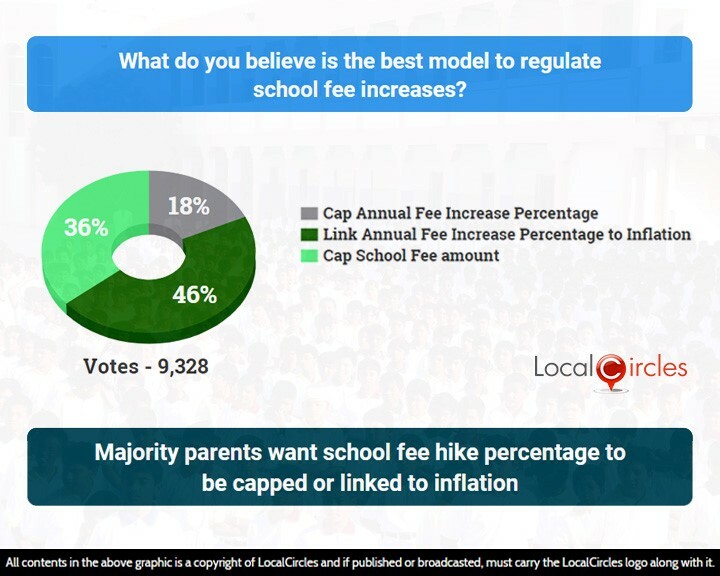 Again 54% of the citizens reiterated that the annual hike in fees should be lined to inflation, while 26% said hike should be capped at 10% each year, another 20% said it should be linked to pay commission hikes. Schools adopt various ways to hike the total fees, while the tuition fee may not be hiked all other fees are raised. One of the component of school fees is annual fees or admission it has been noted that this is hiked indiscriminately by schools. Hence, when asked that should this fee under the head of annual or admission fee’s hike be limited to one month of tuition fees, a very large per cent 93 % of the citizens agreed. One of the biggest argument given by schools for hiking fees is to increase the quality of education or to maintain it, parents do not seem to be convinced of this argument. As 77% say that there will be no impact on quality of education if school fees is controlled and hikes capped. Over 58,000 response were received from over 21,000 unique parents located in 215 districts of India. Approximately 35% of the respondents were women while 65% were men. 42% of the participants were from Metro/Tier 1 cities, 36% from Tier 2 cities and 22% were from Tier 3 and rural locations.